Pistons forward Blake Griffin is being sued for palimony by Brynn Cameron, his former fiancée and the mother of his two children, who claims that Griffin asked for an unreasonable prenup a month before their wedding, postponed the ceremony when she would not sign, and then quickly began dating Kendall Jenner. The suit also claims that Cameron helped Griffin deal with a “toxic” relationship with his Clippers teammates, especially Chris Paul. The suit claims that Cameron agreed to leave her job at a marketing agency after their son was born “at Griffin’s insistence.” They moved in together and combined finances into a joint bank account, agreeing that Cameron would continue not to work outside the home while she took care of their family. The couple planned a wedding for July of last year, but one month before the scheduled ceremony, the suit claims, Griffin asked Cameron to sign a prenup that “contradicted their prior oral agreement” to share all earnings and property equally. Cameron refused to sign, and the wedding was postponed. 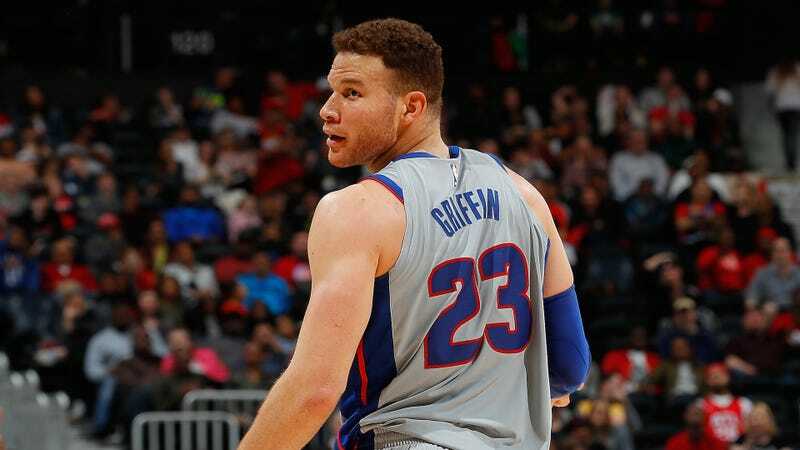 Griffin reportedly began seeing Jenner days after the wedding was postponed. A few weeks later, he spent a weekend with her in New York after telling Cameron that he would instead be in his home state of Oklahoma, the suit claims. Shortly afterwards, he “informed Cameron that he had no intention of continuing to live with her and their children.” The suit describes Cameron and the children now as “homeless and cash-strapped” and says that they’ve been relying on Cameron’s brother for financial support. The complaint is in full below.